Wabco has announced that it has signed a long-term agreement worth US$230 million to develop and supply innovative air suspension technology for a client. The client has not been named, but Wabco describes it as ‘one of the world’s largest manufacturers of premium passenger cars, based in Europe’. Under the terms of this 10-year agreement, Wabco will develop and deliver an air supply module along with control software to operate a range of air suspension system configurations for one of the manufacturer’s high-volume global premium passenger car platforms. The air supply module will include compressors, an integrated air dryer and air intake filter, an acoustic and vibration isolation system, as well as an air-flow distribution valve-block that controls air spring actuation. As a hint of who the customer might be, Wabco has stated that air suspension is a standard feature on most of this manufacturer’s electric and plug-in hybrid vehicles, and that this deal will see Wabco support a 30% increase in air suspension production volumes compared to the manufacturer’s preceding car platform. 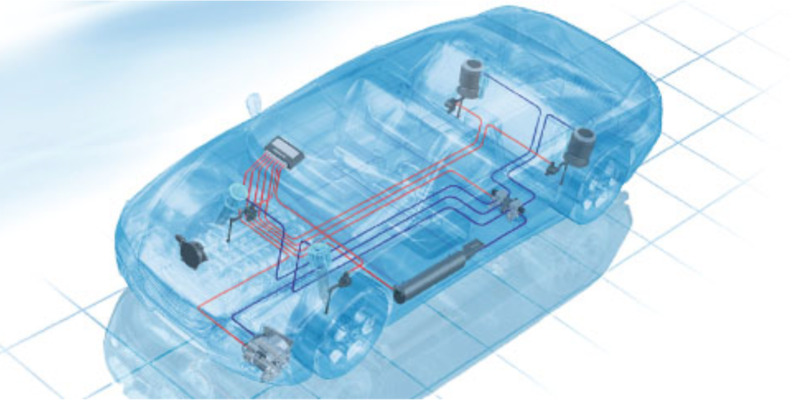 Air suspension systems automatically adjust the vehicle to the optimum ride height, independent of vehicle load, which is particularly important for electric vehicles to ensure sufficient ground clearance levels are maintained to protect their batteries. This deal builds on recent success at Wabco, including a US$950 million deal signed in December to supply braking, ADAS and efficiency technologies to a ‘top manufacturer’ of commercial vehicles’.